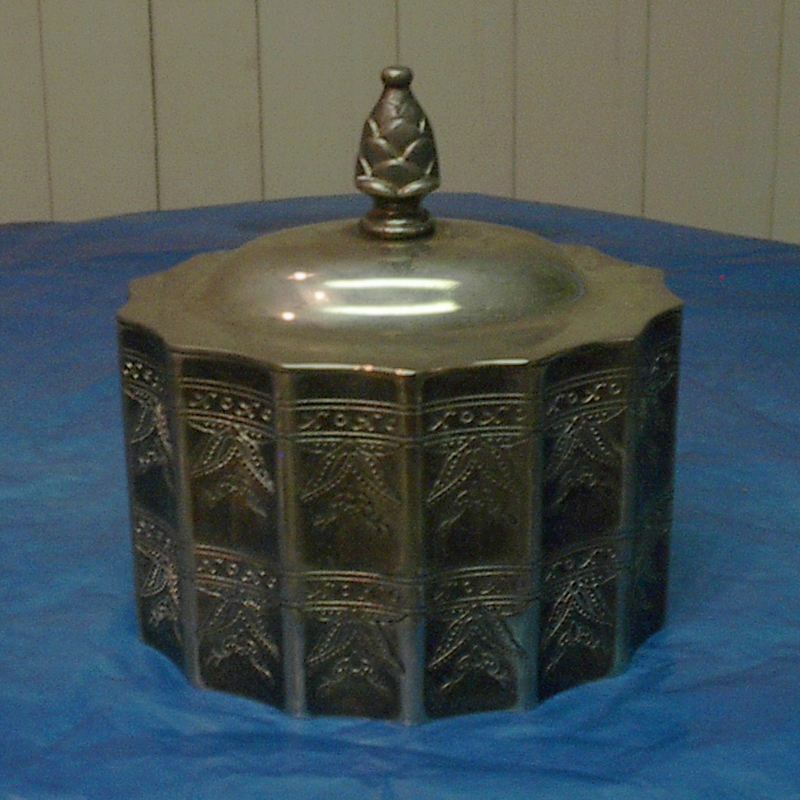 This box (Godinger Silver Art Co Ltd GSA Silver) consists of a metal lid and base with a pleatd liner inside. The overall shape is oval looking down from the top. The lid lifts off compleatly from the base. There is a pattern on the sides of the base and the pinecone handle only.. The lid surface is smooth. 5.0 inches height w/ Lid.